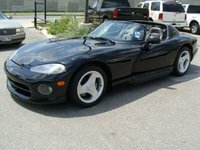 Start a new Dodge Viper question. How many pictures can I upload to my listing? I am right in the middle of a deal and Cargurus has my account on hold! I cannot communicate with my buyer! Unlock ASAP please! 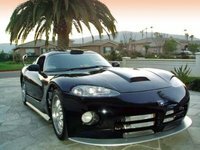 Since its concept inception in 1989 and its subsequent market release in 1992, the Dodge Viper has established itself as one of the dominant muscle cars of the world. 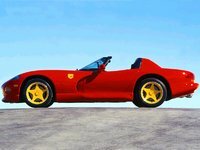 When it started in 1992, the Dodge Viper, then only available as the RT/10 Roadster, had an 8.0-liter V10 under the hood that produced a staggering 400 hp. But Dodge owners were never content with only 400 hp. And Dodge heeded their call, upping the horsepower to 415, then 450, then 500 from an 8.3-liter V10 in 2003, and finally 510 in the 2006. The Dodge Viper has been the King of the Road for its entire history. Heads turn to stare in wonder, and arrogant engines rev, thinking that they are up to the challenge. Almost invariably, they are wrong. 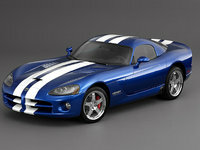 The Dodge Viper started with a 0-60 mph in the low 4 seconds, and only got faster. There is something primal about sitting behind the wheel of a Dodge Viper, either with the top down or a roof over your head, feeling the vibrations of one of the more powerful production engines on the planet in your fingertips. Few comforts adorn the inside of any Viper; in early models, there are practically none. But owners have never complained much about this lack of comfort. They've always understood why they bought the car, and it was not to recline in. The Viper has always been about power and speed. Anything else was just a minor bonus. 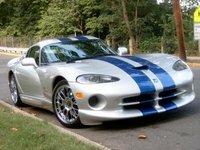 Despite their enormous success with the Dodge Viper over the years, Dodge has never been satisfied, and is always finding ways to bring more power to Viper enthusiasts. Vipers have always been a limited production car, so if you manage to join the elite group of owners, count yourself among the lucky few. The Dodge Viper is not a car for the meek or inexperienced driver, nor for the shy. But if you think you can tame the beast, there are few cars out there that can provide a more satisfying ride.